What's New at Shoregate Beverage? Click here to see images of new-arrival items. Come in and explore our huge selection of wine, beer, liquors and other spirits in our new storefront in Willowick. Visit and shop our wide range of flavors and types of beer for any occasion. From top shelf to well-drink options, Shoregate Beverage has amassed one of the largest selections of premium whiskeys in Northeast Ohio. 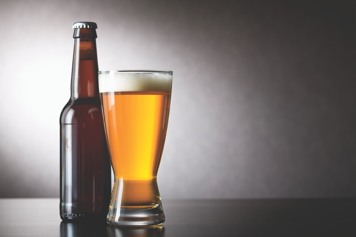 Peruse premium brews including local, domestic and imported varieties as well as specialty-flavored beers, ciders and ales that have been expertly crafted. Knowledgeable wine stewards can introduce you to the perfect vintage from a variety of regions. With the expertise to help you think outside of your “preference box,” they’ll encourage you to try new types of wines or tailor any selection to suit your tastes (and your budget). Whether blended in handcrafted cocktails, combined with bubbly mixers or served straight up so you can savor every sip, Shoregate Beverage has amassed one of the largest selections of liquors in Northeast Ohio. Shoregate Beverage and Liquor can provide the beverages for parties of all sizes, and they know exactly how much and what types of beer, wine and liquor you need for the perfect get-together. They also deliver to your party and set up. The philosophy is to offer one-stop shopping for all of your beverage needs. Sign up for our email newsletter where we reveal our newest selections of craft beer, wine, and more.